my companion during a more than hectic summer. The night before my own book launch I read the words ‘And then it was May 17, only one day before the book launch’. Coin-cidences aside, this book faced up to some very difficult themes with total honesty. A supremely difficult life-changing event – a car accident, and its consequences – physical impairment, chronic pain and PTSD are things that can and do happen to anyone. They are explored with a rare mixture of humour and intensity. 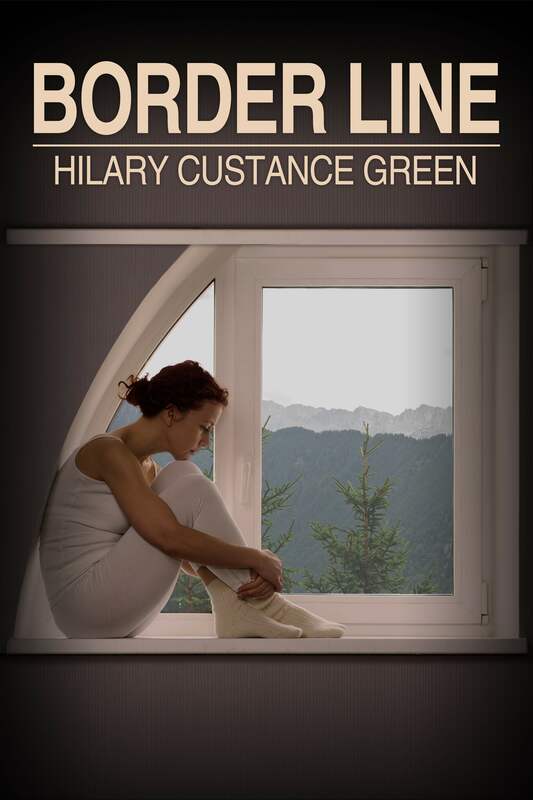 This book is a bumpy ride, where the highs and lows follow each other in quick succession – I laughed over the Valentine, I wept over Keats, I laughed over ‘a job that pays’. There are few easy-walking meadows in this story, because it is about the mountains and valleys. Among the things that struck me was Cynthia’s insistence on facing up to something we all know – it is never a good time for a difficult or dangerous conversation – and dealing with it so courageously. When the story introduces the ultimate twist, it is even more powerful, because it is true. 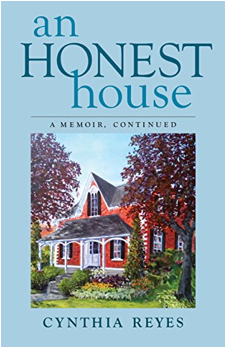 The whole book is about honesty, love, family life, happiness and faith. And if, like me, you do not have the kind of faith Cynthia has, this is also fine. She makes it easy to empathise with her faith instead. By chance, I was given another very slim memoir titled Ann during this period. This was a private summary of a life of drama, pain, good homes, faith and also much happiness. I am so grateful Cynthia and Ann for telling us their stories of family life, so that none of us feel alone when we, too, meet the slings and arrows of outrageous fortune. And talking of families, the most wonderful gift arrived from my American son-in-law’s parents, Sharon and Rick. 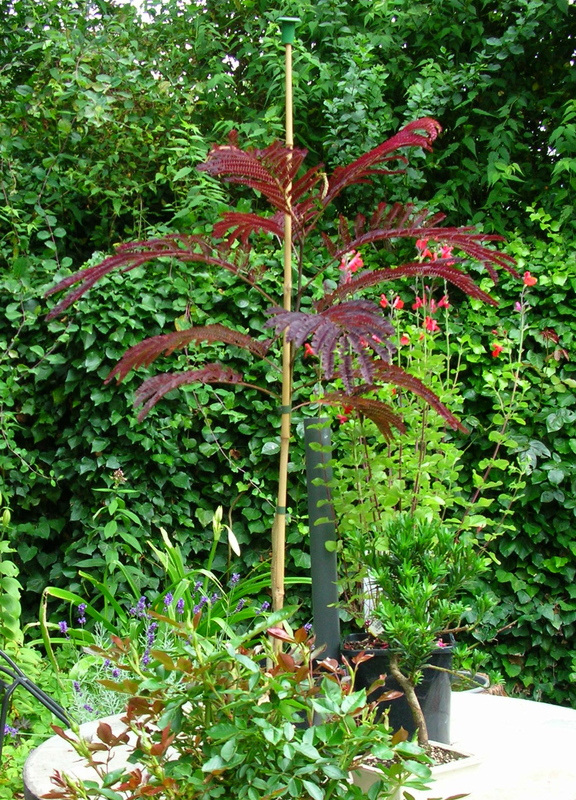 Here is a poor photo of my beautiful new little tree, an Albizia julibrissin. There will be more in the future.